More than 430,000 people watched television coverage of the Māori Queen's tangi. 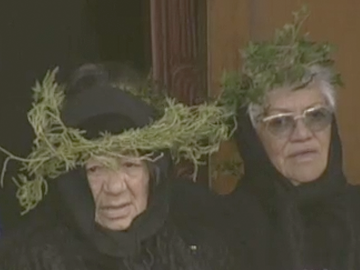 Broadcast across three networks and streamed around the world, the coverage began with the coronation of the successor to Te Arikinui Dame Te Atairangikaahu. Cameras then traced Dame Te Atairangikaahu's final journey from Turangawaewae along the Waikato River by waka, to her final resting place on Mount Taupiri. The presenting team, led by veteran journalist Derek Fox, was chosen by both TVNZ and Māori Television Services. Witi Ihimaera was the first Māori writer to publish a book of short stories (Pounamu Pounamu) and a novel (Tangi). 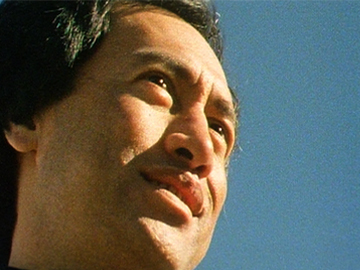 In this wide-ranging Kaleidoscope profile Ihimaera (here in his late 30s) talks about being “the boy from the sticks made good”, and conforming to expectations: “do I want to be the literary voice of the Māori people? No”. He discusses editing influential anthology Into the World of Light and the camera accompanies him on a Wellington circuit, as he roller-skates, and visits Newtown’s Black Power HQ. George Henare reads excerpts from Ihimaera’s work. This documentary accompanies author Witi Ihimaera on a journey with his "townie" daughters to his marae in Waituhi on the East Coast, ahead of the publication of third novel The Matriarch. Ihimaera describes his writing as a type of "tangi to a people and to a life" he experienced growing up around Waituhi in the 1950s — a way of life symbolised by the tears of the toroa (albatross) said to be held deep in greenstone. Jim Moriarty is among those reading from Ihimaera's works. 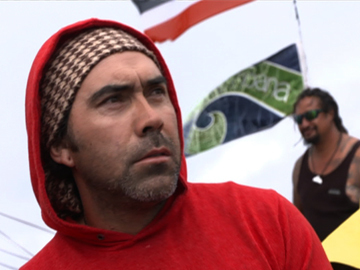 The film is directed by Peter Coates, from Inspiration, his series on New Zealand artists. One summer’s day, teenaged Jayde (Atarangi Manley) and Wiremu (Darcey-Ray Flavell-Hudson) tag along with their older siblings on a trip to a local swimming hole. Young passions ignite by the Rotorua hot pool. Later tragedy occurs and one of them faces lost innocence and the ritual of tangi, while bearing a secret. Michael Bennett’s short — cutting between the day and its aftermath — was shot in his Te Arawa home turf. It was selected for the 2005 Berlin Film Festival. 'Mu' was an early role for Flavell-Hudson (Mt Zion, Ghost Chips ad fame). "Maybe if we looked after our living as well as we do the dead, he'd still be here." After returning to his marae from the city, Mana (Cliff Curtis) finds himself caught up in arrangements for a tangi. But when another local commits suicide, Mana finds himself caught between traditional values and his own sense of right. Meanwhile in the forest, it seems that other powers may have the final word. 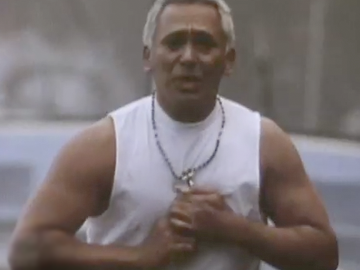 The short film also features George Henare. 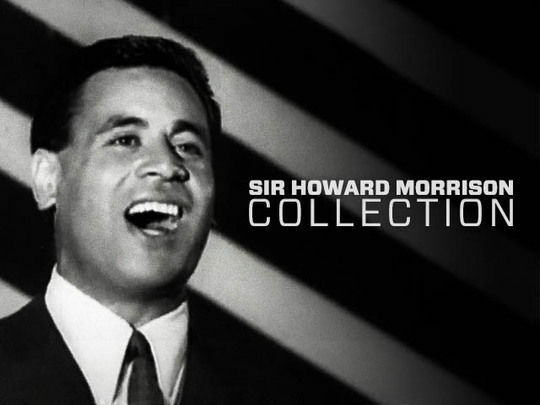 It was written and directed by former DJ and commercials director Poata Eruera. For this 2017 feature film, eight Māori women each directed a 10 minute segment of events circling around the tangi of a boy named Waru. Each director had a day and a single shot to capture their take on the context behind a tragedy. 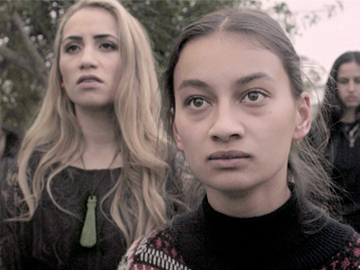 After its debut at the 2017 NZ International Film Festival, Waru won a rush of social media attention, and screened at the Toronto and ImagineNATIVE festivals. The Hollywood Reporter praised it for bringing "a sense of dramatic, urgent realism to a story that plays out like a suspenseful mystery". Waru was produced by Kerry Warkia and Kiel McNaughton. Charlotte Yates produced Ihimaera Live for the 2011 Auckland Arts Festival. The concert featured lyrics especially written by author Witi Ihimaera, set to music by 12 New Zealand composers and 55 musicians. This short documentary for Māori Television includes clips of the performances at Manukau's Events Centre, and interviews with Ihimaera and musicians Warren Maxwell, Horomona Horo and Waimihi Hotere as they search for the rhythm of word and sound. 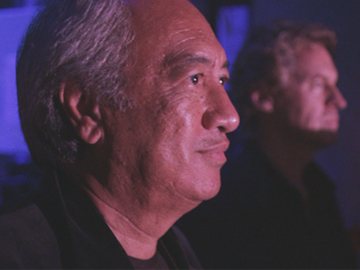 Yates and director Lala Rolls also collaborated on Tuwhare, which documented a musical tribute to Hone Tuwhare.